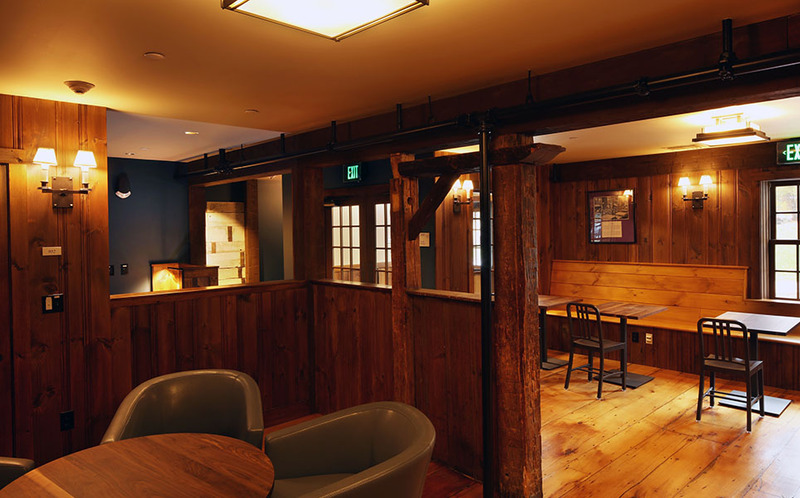 Our client wanted to preserve the cherished atmosphere of this beloved watering-hole, while expanding the program to include full time service to the larger community. 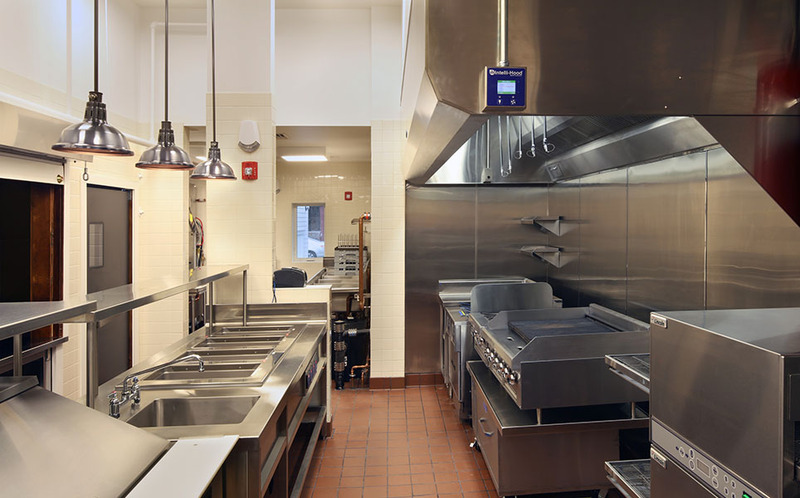 In alignment with the long-term environmental goals of Williams College, C&H designed extensive envelope and mechanical upgrades to accommodate increased building use, while lowering the overall energy demand. Throughout the design and construction process, accommodations had to be made to preserve the unique character of the building and its history. The exterior is classic New England and well integrated in to the picturesque streetscape of downtown Williamstown. 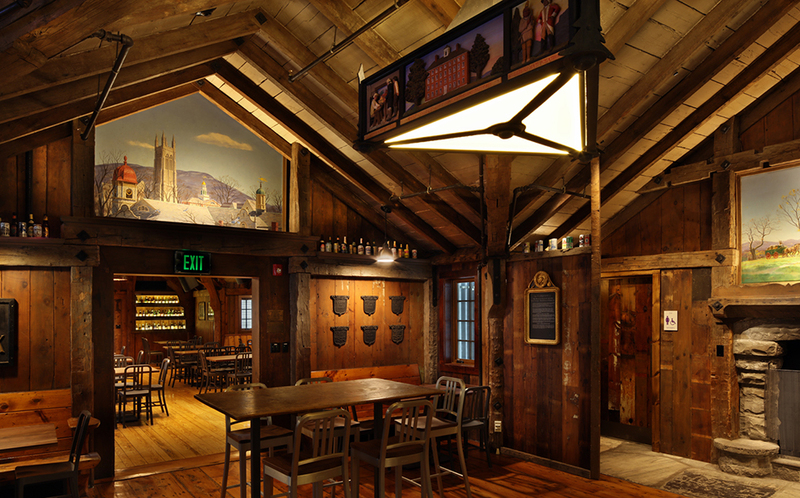 The interior evokes the atmosphere of a country lodge, and houses an extensive collection of College memorabilia. C&H piloted the careful cataloging and salvaging of building elements for reinstallation, and applied a strong design sense to exterior renovations and additions, assuring they did not detract from the building’s historic aesthetic. Click here for a construction time-lapse video. The entire main floor was brought up to Massachusetts Architectural Access Board standards, including new accessible bathrooms and improved paths of travel. Drafty open fireplaces were replaced with sealed combustion units that provide the ambiance of an active hearth without the energy loss. All existing exterior siding was removed and the walls built-out with continuous insulation and air-sealing before new clapboard was installed. 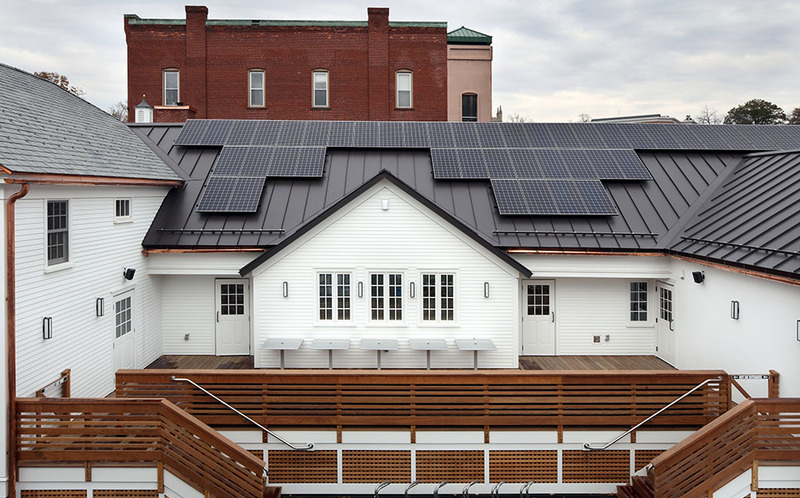 The building received all new standing seam metal and slate roofing over an average R-67 insulation. A 14kw photovoltaic array was designed to fit on the building’s complex roofline with maximum efficiency and minimumal visual disturbance. 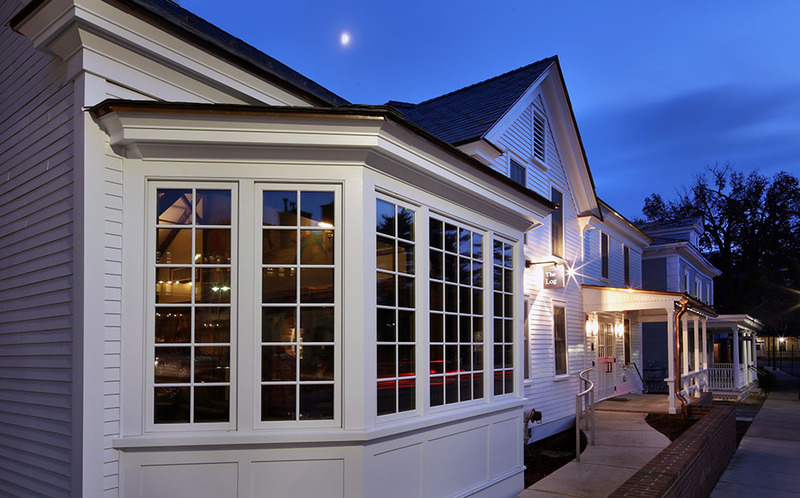 A custom designed FSC ipe rail system encloses the rebuilt deck for al fresco dining. 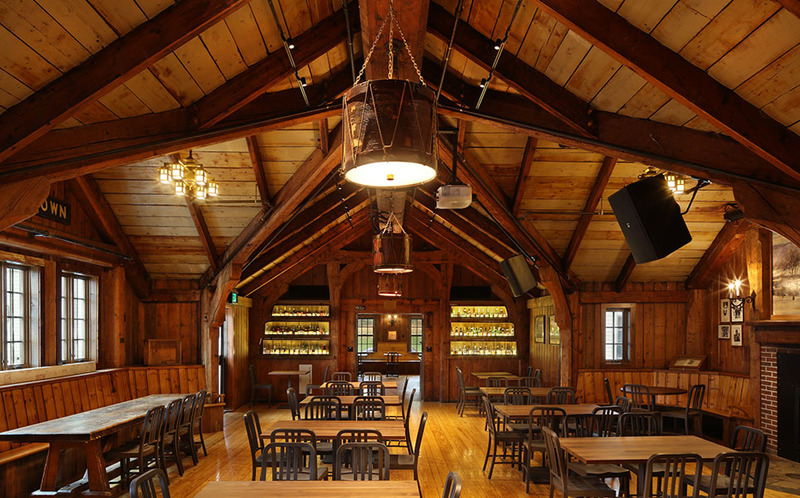 New finishes were carefully selected to match and compliment the bold rustic aesthetic of the interior. New and salvaged lighting fixtures incorporate efficient LED technology for substantial energy savings. A completely new heating and cooling system was installed. Its design allows for connection to a campus-wide district energy plant the College plans to implement in the future. Awards: Building Design + Construction, November 2017, Reconstruction Award. See it here online.